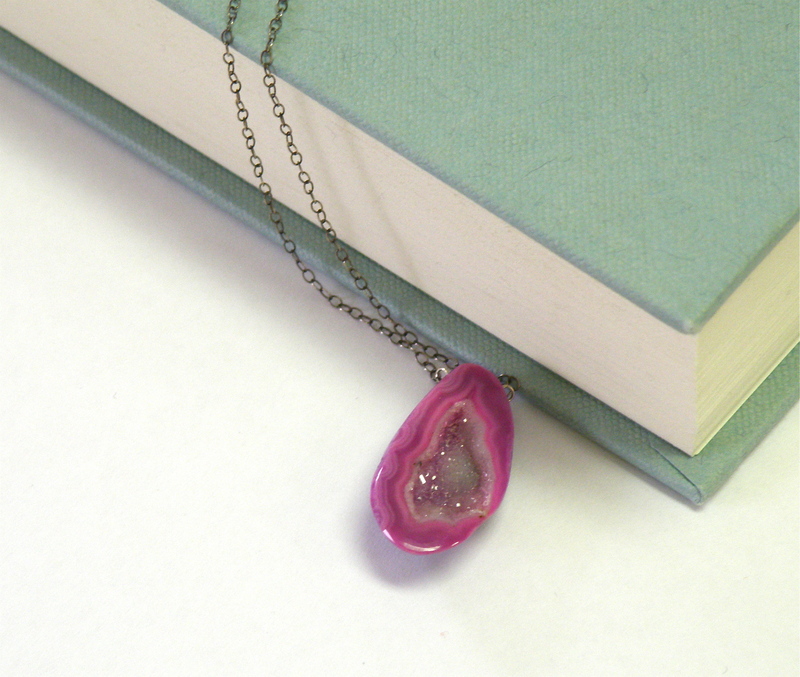 Did you ever crack open a geode as a kid? 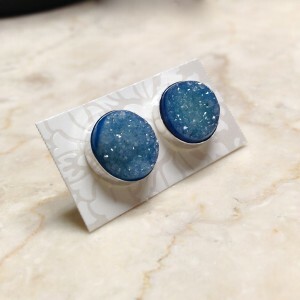 They start out as rough, ordinary rocks… until you open them up to discover a miniature cavern of sparkling crystals hiding inside. So fun! 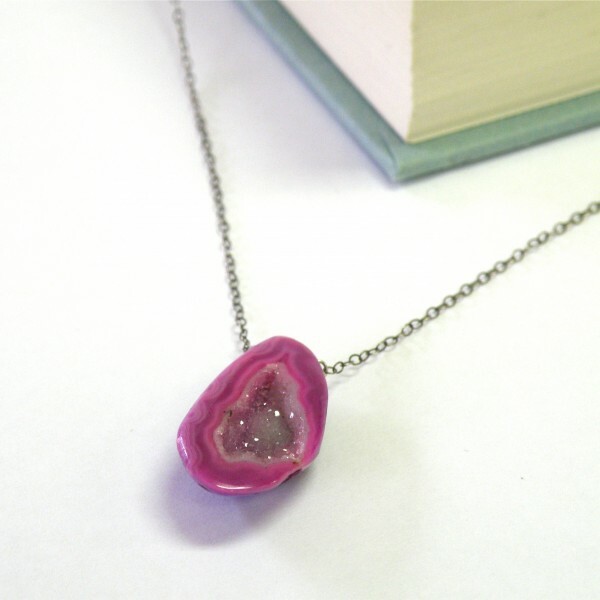 Carry a little of that childhood wonder with you everyday with this gorgeous Geode Cave Necklace, which features an actual concave geode gemstone in lavender agate. The sides and back have been expertly polished to sit smooth against your skin and feel comfortable for all day wear. 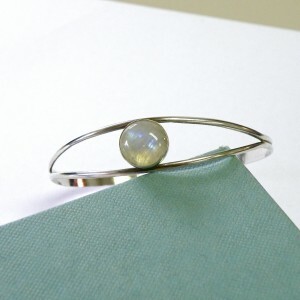 Wear it as a symbol of the hidden treasures that lay waiting inside you and those you love. 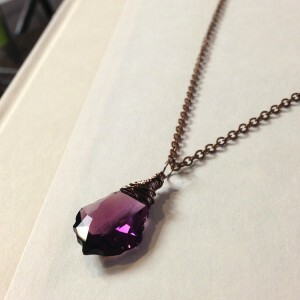 The 17-inch necklace is crafted in solid sterling silver which has been oxidized for a rustic, dark finish. 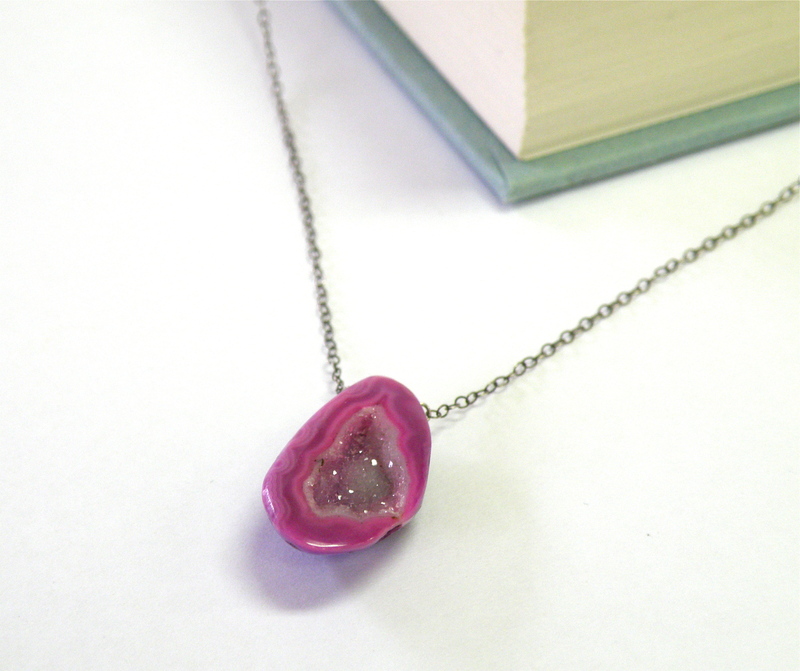 Each geode has its own natural, organic shape that makes it one of a kind. A perfect gift for yourself or someone special! 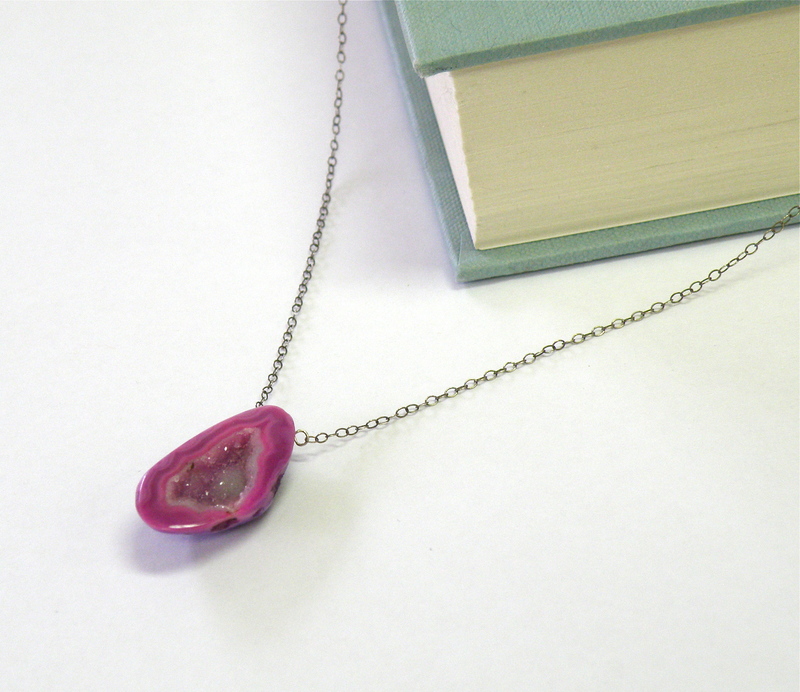 Please note this listing is for one Geode Cave Necklace in purple – check the Necklace section for other available colors! 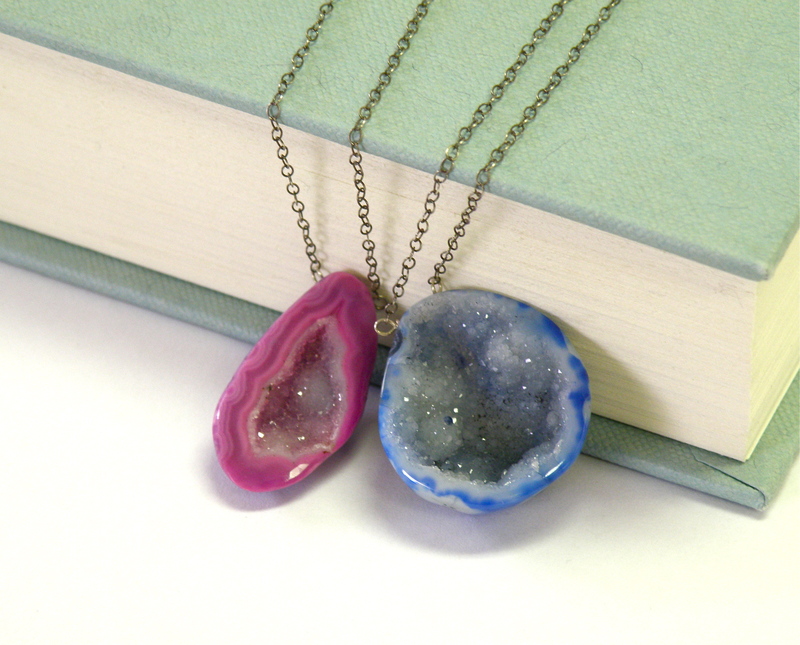 Categories: Druzy Collection, Necklaces. 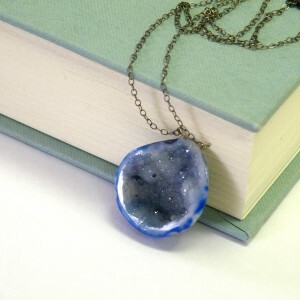 Tags: agate, bellabejeweled, blue, cave, chain, christmas, crystals, druzy, earth, facets, gemstone, geode, gift, gray, grey, jewelry, natural, nature, necklace, organic, oxidized, rustic, sparkle, sterling silver, style. 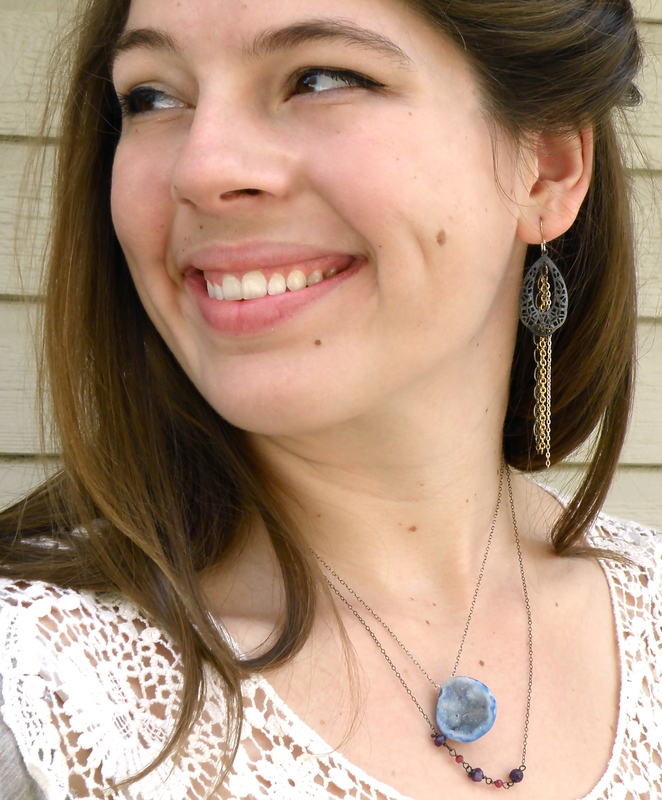 The 17-inch necklace is crafted in solid sterling silver which has been oxidized for a rustic, dark finish. A perfect gift for yourself or someone special!